WASHINGTON (The Nil Admirari) - Republican Speaker of the House John Boehner praised a report from Save the Children that ranked the United States as the 33rd best country to be a mother in. America dropped two ranks from the previous year and found itself behind countries like Belarus, Croatia, and Portugal. 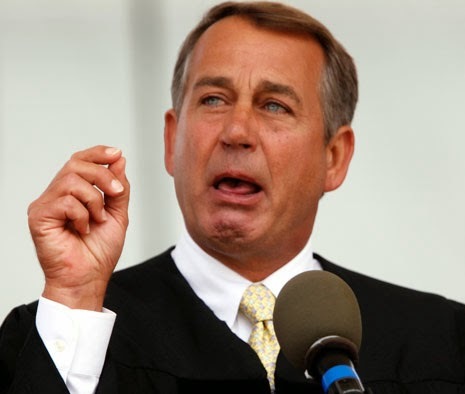 "The United States ranking 33rd in best countries to be a mother in is what makes America #1," stated Boehner. Boehner waved a tiny American flag when a reporter told him women in the United States face the worst odds of living through child birth than women in any developed country. He began to cry tears of happiness when he was told Washington, D.C. has the highest infant mortality rate of the 25 richest capital cities in the world. Speaker Boehner was momentarily able to compose himself to state, "America could not have done any of it without conservatives opposing a universal healthcare system that would guarantee healthcare to every citizen, which we could easily afford. And you can bet we're coming for Obamacare."